iPad 1 cover with built-in stand. Custom-made and optimal protection. 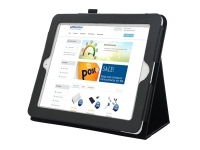 Order your Apple iPad 1 Stand Case online at 123BestDeal.